Tristan Johnson dazzled a whole boatload of anglers on the Gulfstream, a 58-foot party boat docked at Garrison Bight, 1801 N. Roosevelt, by catching some 20 fish — including yellowtail and porgy —during a Feb. 13 party boat trip with his parents, Jason and Heidi Johnson, dairy farmers in Galesville, Wisconsin. “Here’s this little cheese head from Wisconsin beating everybody,” his mother said Friday, laughing. Tristan is also a big tipper. 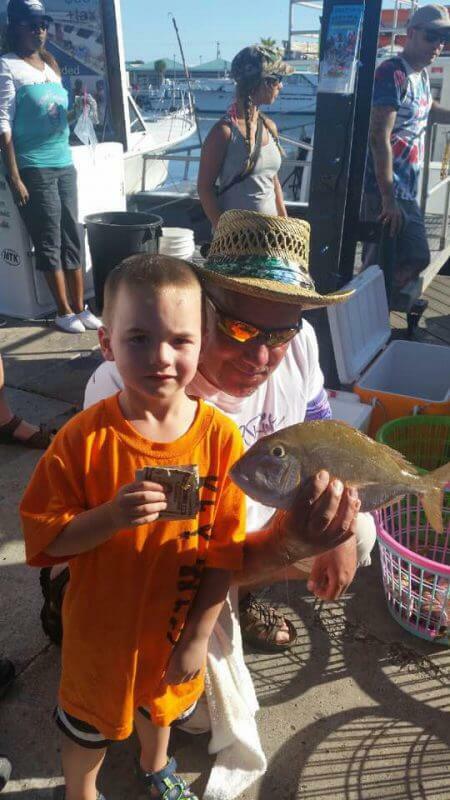 He won the fishing pool, beating out some serious fishermen with his $14 pole his parents picked up at a Cudjoe Key bait shop before the trip. Of his $75 fishing pool winnings, Tristan gave the mates $50, according to a Gulfstream spokeswoman.